Sweet potatoes are super healthy, packed with nutrients, good in helping cancer-fighting, and boosting our immune system. They are tasty and versatile in cooking. I often like using them to make desserts, like this Bubur Cha Cha, or make chicken curry. Sometimes, I just throw some in my oven to cook them as snack. They are low in starch as compared with potatoes. 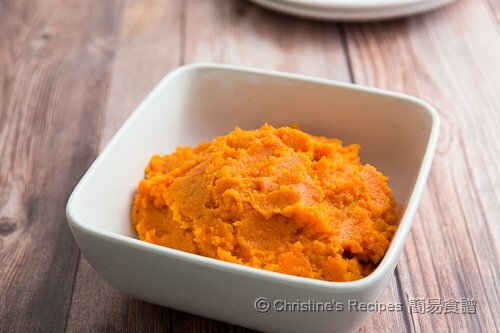 I made this mashed sweet potatoes as a side dish to go with the lemon garlic chicken thighs as a main, that’s served with some salad. I couldn’t complain anything when having this delicious meal. Preheat oven to 200C / 390F. 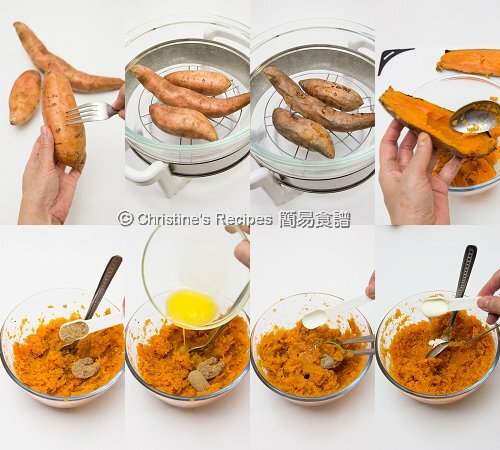 Bake the sweet potatoes for 30 minutes. (This time I used convection oven. Regular oven can be used as well. Please the notes.) If a chopstick can go through the thickest part, it’s cooked through. Remove the sweet potatoes from the pot. Let them cool down until not too hot to touch. Cut into halves lengthwise. Spoon out the flesh. Put into a large mixing bow. Add raw sugar, butter, lemon juice and whipping cream. Season with salt and pepper. Serve as a side dish. If using conventional oven, set the same oven temperature, but bake for 20 minutes more. Test with a chopstick and see if it’s cooked through or not. 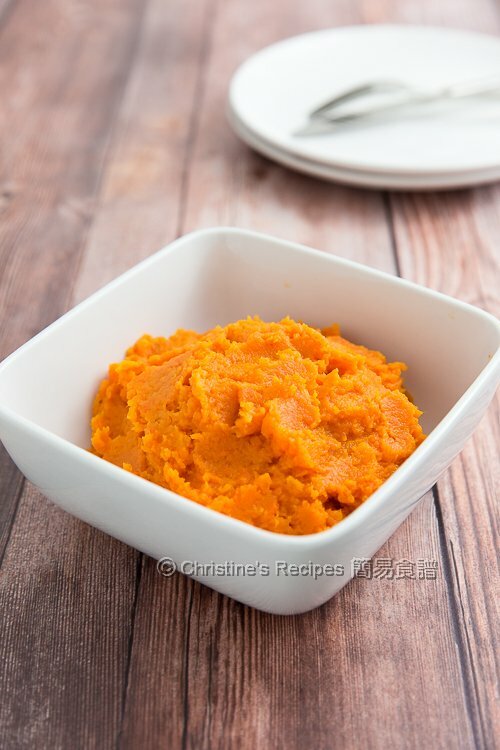 The sweetness of every sweet potato is quite different. Adjust the sugar amount to your liking. One of my favourite root veggies! I can easily finish the whole portion.